Your irrigation system is the life blood of your property, delivering the most important resource to your landscape: water. While rain water might suffice for some of your heartier trees and shrubs, annuals and turf need frequent watering via irrigation to thrive. We inspect the commercial properties we service multiple times per season to make sure that they look their best and are using resources efficiently, but we firmly believe that irrigation experts should examine your system every three years as well. This prevents any potential damage to your irrigation system from progressing to the point that your water bills increasing astronomically. We’ve written a lot on sustainable landscape maintenance and why it’s important, but it’s important to note how important using water efficiently is for the environment. For example, using less water results in less runoff, and phosphorous runoff from chemicals in your soil (ie fertilizer) can contribute to issues like the algae blooms in Lake Erie. There’s a huge return on investment for monitoring your irrigation system correctly: overwatering could cost you hundreds of dollars per year per zone, and valuable plants that die due to underwatering could cost the same amount or more to replace. The Schill team wants to make sure you see those savings and understand what an irrigation inspection entails. 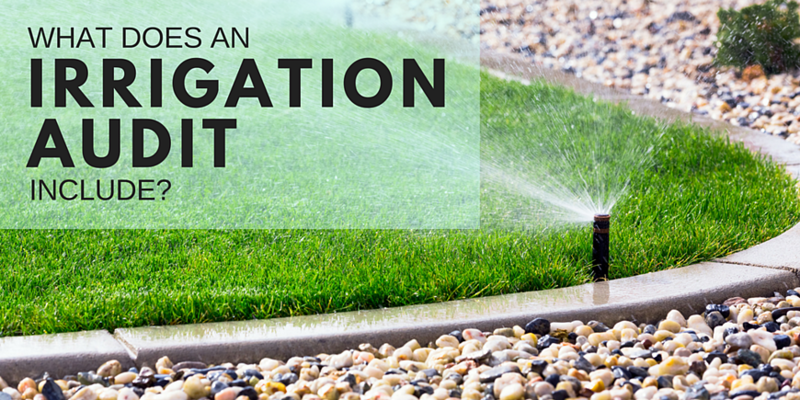 In this article, we talked with irrigation expert Rodney Wilson to discuss what irrigations experts are looking for when they perform an audit, from performing an inventory, to checking your equipment and measuring precipitation. Our irrigation expert will put together an inventory of your landscape based on a blueprint of the property. That inventory includes all plants currently installed as well as the irrigation equipment in use. This allows us to make sure that all plants are zoned correctly, confirming that plants are grouped spatially according to their water needs. Proper zoning is vital because plants with differing needs can compete for resources in unhealthy ways. Also, you could be wasting water on plants that don’t need as much of it to support a small section of needier flowers or turf. To make sure that plants aren’t being under or overwatered, we first turn on the system and fill the main line. Then, we put a pressure gauge on it and hold the supply of water. If the main line holds pressure, that tells us that there are no weeping valves or leaks. Once that’s done, your irrigation expert will check for broken, missing, or damaged sprinkler heads. This is the most obvious way in which irrigation systems waste water because while leaks can occur below the surface and be difficult to detect, wear and tear on sprinkler heads is often easier to discover. 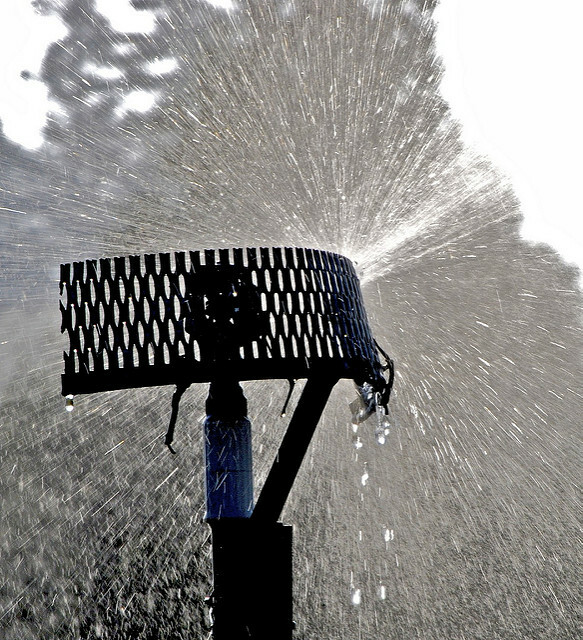 How often have you driven by a property or house in the rain that has the sprinklers running? This is a serious waste of water, and therefore, money! Rain sensors are vital in preventing that, saving water by turning off your irrigation system when it’s raining. But it’s a common mistake to assume your rain sensor is working properly. Sensors are easy to test, but usually only need to be checked annually to make sure they’re shutting down your irrigation system at the appropriate times. Your irrigation system exists to make sure your plants are getting the right amount of water, and precipitation tests are how we make sure this is happening. 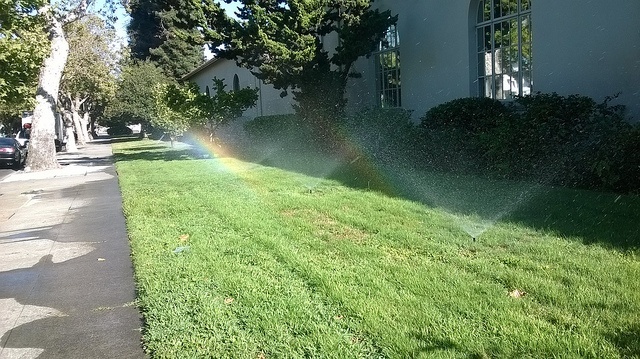 Precipitation tests are vital because, without them, irrigation experts can only provide rough estimates about how much water is saturating your landscape (versus just leaving the sprinkler head). Conducting one of these tests is actually very simple. We place collection cups throughout the property, then run the system to measure the amount of water being sprayed on each zone within the landscape. From there, we can know exactly how much water is being delivered to your plants, as well as where water is being delivered and where it’s not. This allows adjusting for even coverage, which helps prevent common eyesores like patches of brown turf. Ready for savings? Schedule your audit today. As usual, the Schill team wants to help. We partner with amazing vendors and subcontractors to make sure your landscape is using resources efficiently. Whether you want us to give your property a comprehensive inspection or would like to schedule your irrigation audit, contact us online or give us a call. 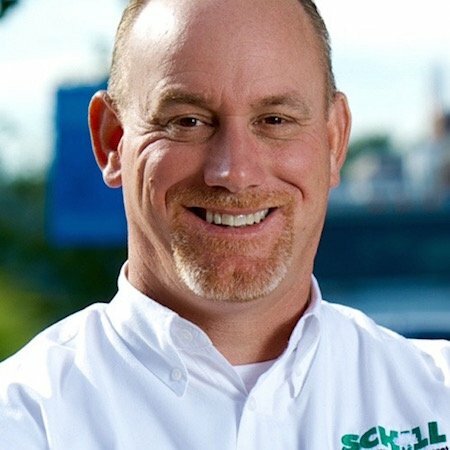 Jerry Schill is president and co-owner of Schill Grounds Management. He's received numerous accolades for his leadership in the Northeast Ohio business community and the commercial landscaping and snow management industry, including the National Leadership Award from SNOW Magazine and Lawn and Landscape Magazine. He is an active member of the Legislative Committee for the Accredited Snow Contractors Association (ASCA) and the Snow and Ice Committee for the Ohio Landscapers Association (OLA).